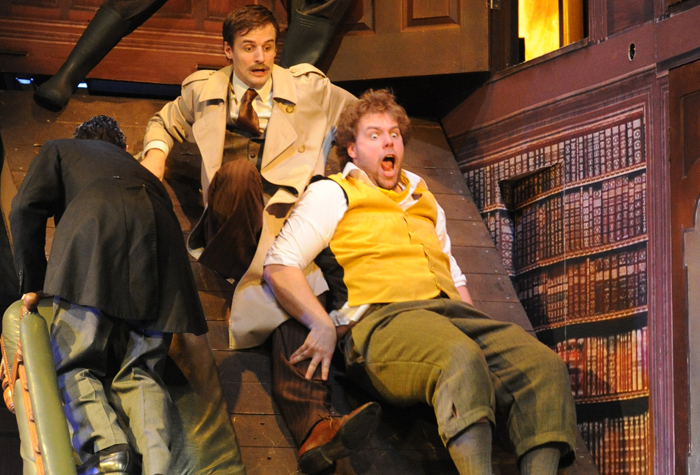 Utterly hilarious, The Play That Goes Wrong is a classic example of the chaos that can be achieved by control. 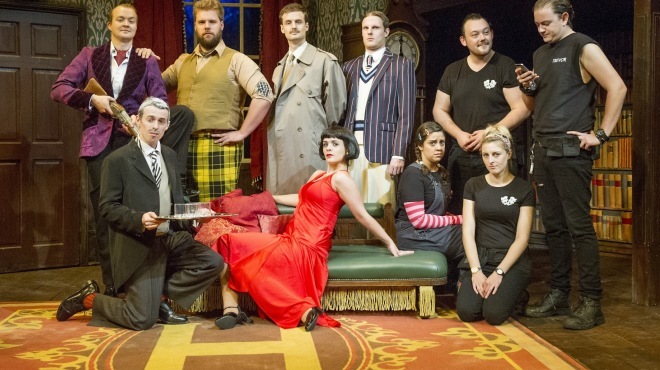 Mischief Theatre Company has a massive hit on its hands with this wickedly ingenious murder mystery comedy. 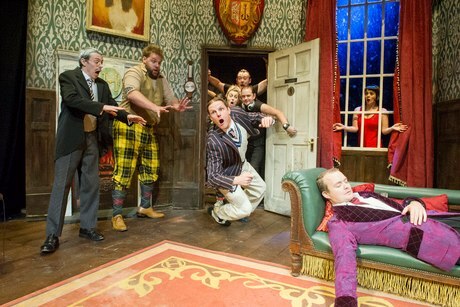 Bringing to mind act two of Noises Off, The Play That Goes Wrong is a riotous backstage farce that plays out on stage. The combination of spot-on send-ups of amateur theatrical types and hysterical physical comedy proves irresistibly laugh-out-loud funny. When a show is written by three of its cast members (Lewis, Sayer and Shields), there is always the danger that the humour will be all self-indulgent in-jokes that were only funny in the rehearsal room. Thanks to strong direction (Mark Bell) and, presumably, lashings of talent, The Play That Goes Wrong is far more than a one joke wonder. Part of the pleasure for the audience is discerning the various foibles of the various cast members of the Cornley Polytechnic Drama Society, who are doing their very best to stage a creaky whodunit entitled Murder at Havisham Manor. 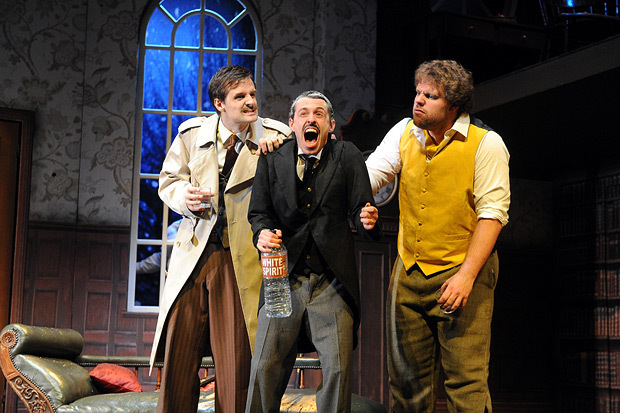 Robert (Henry Lewis), playing the toffy, shady brother, copes well with improvisation but Chris (Henry Shields), the play’s director who is also starring as the detective, does not. As the doddery, silver-haired butler, Dennis (Jonathan Sayer) aids his memory by writing his more challenging words on his hand, but this does not mean he knows how to pronounce them. As the preppy snob, Max (Dave Hearn) cannot help but sneak a grin and quick bow whenever he scores a laugh or clap. Max is also terrified of intimate human contact and a completely inexperienced kisser. Playing the corpse, Jonathan (Greg Tannahill) only has one big line, and cannot wait to get it out. Distracted stage manager Trevor (Rob Falconer) just wants to find his Duran Duran cd. Expressing herself more like a quivering modern dance tragic than an actress, Sandra (Charlie Russell) plays the sultry leading lady, a role she loses to plucky stagehand Annie (Nancy Wallinger) after being knocked out. The resolve of the diva, however, should never be underestimated! These character-based shenanigans could practically carry a show, but the physical mishaps, errors and disasters really raise the laughs and set the production apart. Performing stunt after stunt, that would take hours of preparation and stunt doubles on a movie, the cast demonstrate incredible skill, making the reckless action look simple. Best of all, the cast perform with such gusto and abandon that the entire affair seems convincingly spontaneous and inevitable. Nigel Hook’s set design is a work of genius in terms of the sheer number of hidden accidents waiting to happen and for actually being safe when appearing so scarily dangerous. Roberto Surace’s costumes are a witty collection of the type of clichéd outfits a company with limited means would think highly suitable. 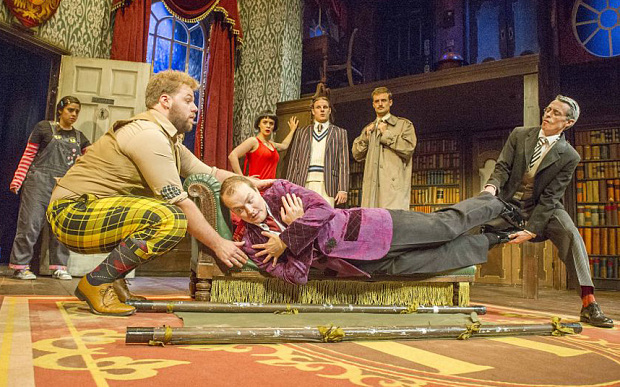 A distinctly British treat, The Play That Goes Wrong would, however, be most welcome for an Australian tour.